Dr. Self has a Ph.D. in Counseling and Clinical Psychology from The University of North Texas in Denton, Texas. 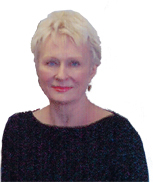 She has been specializing in stress, anxiety and depressive disorders since 1983. She is a professional member of the Anxiety and Depressive Disorders Association of America. Dr. Self was awarded a $10,000 grant for her study treating anxiety, phobias and depression. One group was given medication ( alprazolam also known as Xanax) and the other group was allowed no medication. The comprehensive treatment was so successful that the edge normally predicted for medication was virtually erased…and this measurement was taken three months after treatment had ceased. Dr. Self has directed two inpatient hospital programs to treat anxiety. She has been a frequent guest on “Cope” a former television program dedicated to mental health issues. Before going into private practice Dr. Self was a senior staff member of the chief psychological delivery service for the University of North Texas, Denton, the Counseling and Testing Center. As an additional interest, she co-founded and co-directed the Center for Career Choice and was editor of its first newsletter. She also taught in the department of counseling and worked on various grants and university projects. After opening a practice she acted as a consultant in the private and municipal sector. Dr. Self at this time is fully engaged in her practice. She works with children (and their parents), adolescents and adults on all the anxiety disorders as well as stress issues ( stress often comes prior to a full blown anxiety disorder). She also works with tricotillomania, other impulse control problems and uses hypnosis for some issues. Watch the Star Telegram for times of her free-to-the-public information talks on anxiety.